Make Social Security part of your retirement income plan. A Wise Strategy May Get You More Social Security Income. Do you need help planning for your Social Security income? A wise strategy for claiming Social Security benefits may result in additional retirement income. Social Security retirement benefits help provide lifetime, inflation-adjusted income. Combined with your retirement savings, plus any pension benefits you may receive, Social Security may serve as an important component of your overall plan for retirement income. When Can You Claim Social Security? Eligibility for Social Security begins "early", at age 62. However, claiming early will reduce your monthly check - permanently. There are many issues to consider when deciding to claim benefits. Your Primary Insurance Amount, or PIA, is the amount of monthly income you will receive at your normal retirement age, also known as your Full Retirement Age (FRA). 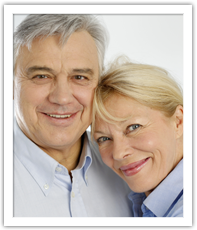 Depending upon when you were born, your FRA will range from age 65 to age 67. 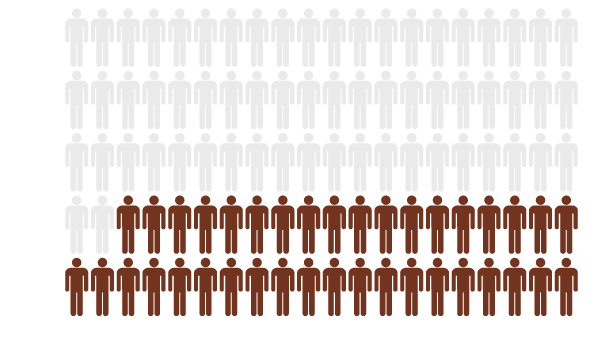 People born between 1943 and 1954 have an FRA of 66. Click here to see your FRA. Your PIA, which is based upon your lifetime earnings, may be reduced or increased, depending upon when you decide to claim retirement benefits. You may claim benefits before reaching your FRA, as early as age 62, and you may delay claiming until after your FRA, as late as age 70. Claiming after you've reached your FRA offers benefits. 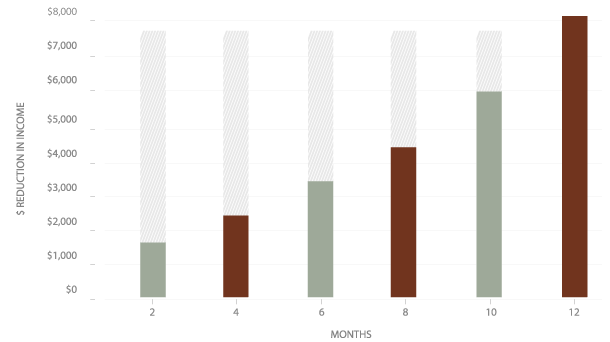 Your monthly check will be increased by 8% for each year that you delay, up to age 70. For example, if your FRA is 66, and you delay four years until you're 70, your monthly check will be 32% higher than at age 66, and 75% higher than at age 62. Over time, one might receive significantly more dollars depending upon when benefits are claimed. You may benefit from seeking the advice of a financial advisor that focuses on retirement income planning, one who can help incorporate your Social Security claiming options into an overall retirement income plan. Have You Thought about How Long You May Live in Retirement? Have you ever thought about how many years you might spend in retirement? While we can't know for certain, we should think about how life expectancy has increased in the decades since Social Security began. In 1935, life expectancy in the U.S. was 61.7 years. As of December 2017 ***, 5.7 million Social Security beneficiaries were at least age 85. Some much older. But collecting Social security benefits well into old age is nothing new. But Collecting Social Security Benefits Well Into Old Age Is Nothing New. 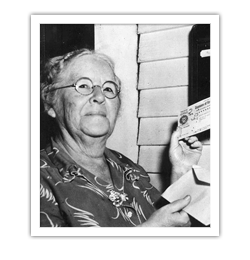 The very first person to collect Social Security retirement benefits was named Ida May Fuller. A resident of Vermont, Ida May retired in 1939 after paying into Social Security for just three years. Ida May received her first Social Security payment on January 31, 1940. She then went on to collect from Social Security for thirty-five years. Ida May passed away in 1975... at the age of one hundred. Let's assume that your age 66 projected monthly retirement benefit is $2,482. 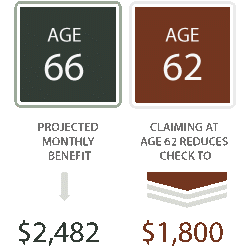 Claiming benefits at age 62 reduces the monthly check from $2,482, to $1,800. That's a reduction of $8,184 per year. Again, that reduction is not for a year, or a few years. It's PERMANENT. Over the 38 years from age 62 until age 100, this means giving up one-hundred-seventy-six-thousand-nine-hundred-sixty-four-dollars. Now, you may feel that living to age 100 is unrealistic. If so, then back that up by 20 years. If you were to live to age 80, the loss in retirement income is still $13,284. Don't automatically think that claiming Social Security benefits early is your best decision. It may have been the right choice for your parents, but it could be the wrong choice for you. In fact, if you feel that you are likely to live to age 80, or, 85, you should think carefully about delaying benefits until even after your full retirement age. This is because for every year that you wait beyond full retirement age, your monthly check will be increased by an additional 8%. Waiting until age 70 means receiving 32% more retirement income versus age 66, and 75% more income compared to age 62. That's $1,800 per month at age 62, versus $3,168 at age 70. Although the difference in these two numbers is dramatic, it's only one factor in choosing the Social Security claiming strategy that's best for you. The opportunity to receive a higher monthly income helps explain why proper retirement income planning is important. It also points out why a well-designed retirement income plan shouldn't overlook how to maximize Social Security benefits. Your need for income and views about life expectancy are just two of many important factors in determining when to receive benefits. The video below will explain the crucial difference between claiming retirement benefits early versus holding off till a later date. Did you know that Social Security lets you see your benefits online? Visit My Social Security to learn how much retirement income you will receive. Want to get the most from Social Security? I specialize in retirement income planning. Contact me so that I can help you create a retirement income strategy. 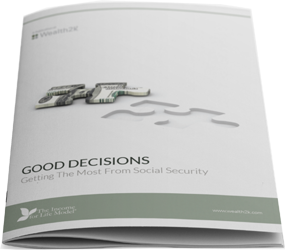 The case studies below illustrate how a wise claiming strategy can help you get the most from Social Security. The scenario is hypothetical and implementing the strategy discussed below may not result in increased total benefits. Individual results may vary from the example shown. Married for 30 years, Hank and Susan are quickly approaching retirement. They plan to claim social security as soon as they are eligible. For Hank, that means collecting a reduced benefit of $1,415/month beginning at age 62. In three years, when Susan is 62, she intends to file a claim for her own benefits of $828/month. If Hank lives until age 83 and Susan until age 87, they will collect a combined $823,788. But this simple approach might cost Hank and Susan a great deal of money. By working with a financial professional who focuses on retirement income planning, Hank and Susan were better equipped to understand all of the available Social Security claiming options. As a result they adopted a different strategy. With the switch strategy it's possible for Hank and Susan to gain in two key ways. First, they can take advantage of Social Security spousal benefits, and second, they can delay claiming until a later age when monthly benefits may be much higher. Here's how it works. 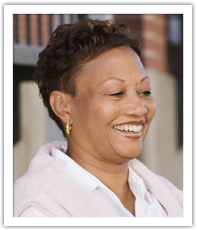 Upon reaching age 62, Susan files for worker benefits of $828/month (75% of her PIA amount). Once he reaches his Full Retirement Age of 66, Hank files a claim for spousal benefits of $569/month. When Hank turns age 70, he will file on his work record and receive $2,858/month By delaying, Hank's age 70 monthly income was increased 8% each year...an increase of 32%. Claudia has been divorced for 12 years. She is planning to retire at age 66. At that time she will be entitled to collect $1,897/month. If Claudia lives until age 87, she will receive a total of $478,044. Claudia sought the assistance of a financial professional who focuses on retirement income planning. She was surprised to learn that, although divorced, she can still claim Social Security benefits on her ex-spouse's work record. Claudia decided to claim spousal benefits at age 66. She will receive $1,213/month. 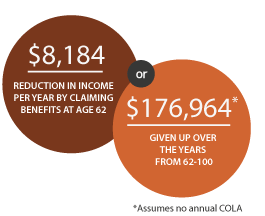 Then, at age 70, Claudia files for benefits in her own work record, and will receive $2,765/month - that's 132% of her PIA. LET ME ASSIST YOU IN CHOOSING THE RIGHT STRATEGY TO HELP MAXIMIZE YOUR SOCIAL SECURITY INCOME. Get in touch today by filling in request meeting form below. Please refer this website to friends or family members who may be interested in learning more about how to maximize Social Security retirement benefits. © Copyright 2013-2019 Wealth2k, Inc. All rights reserved. Social Security Wise® is a registered trademark of Wealth2k, Inc. The information presented is general in nature and not intended to be a complete explanation of the subject matter or a substitute for careful personal planning. In some instances the material specifically refers to elements of federal tax laws and regulations. The impact of any state or local taxes should also be considered. Wealth2k, Inc. nor or any of its affiliates are engaged in rendering legal, tax, or accounting advice. Legal, tax, and accounting advice applicable to your own situation should be obtained from a qualified professional. Alan Blecker ,CPA is not affiliated with Wealth2k, Inc.